when my son was in the throes of impersonating a new-born, there were, according to mrs washingmachinepost, set times for his feeds, one of which was after the time when i'd normally be tucked up in bed, hoping to achieve a decent night's sleep. not wishing to abrogate my fatherly duties, i figured it would gain me any number of brownie points if i too remained sat in the sitting room watching whatever happened to be on the telly box at that time of evening. though most of the weekday evenings were well catered for, as it turned out pretty much the only thing worth watching on a sunday eve was channel four's broadcast of american football. so, in the beginning, that's precisely what i/we did. for the first couple of weeks, i really couldn't figure out what the heck was going on. though notionally a ninety minute game (is that right? ), each match was split into four quarters, divisions that could last pretty much forever when time-outs were taken into consideration. then there was the fact that it's seemingly quite acceptable to tackle players who were nowhere near the ball, and throw them ruthlessly to the ground. and what on earth was going on with all those footballers; how many guys do you need on one team? however, by week three, i figured i'd got at least most of it sussed, either because of or in spite of the dramatically graphic nature of each live broadcast and the two commentators in the box. to be honest, i'm not sure that i enjoyed watching any more than i did when i had no idea what was going on, but either way, i actually found it all quite intriguing. the proof of this was the channel four broadcasts remaining a part of the sunday evening timetable, even after junior's feeding schedule was no longer a part of the structure. believe it or not, despite feeling utterly wrecked the following morning, i actually managed to stay awake through three successive superbowls before age got the better of me. now i'm lucky if i can make it to the half-time show. happily, as one mostly satisfied with moderation in everything, i felt no real need to dress in the home team's colours or join the nearest fan club. in fact, i don't ever recall a superbowl where i was rooting for one team over the other at the commencement of proceedings. i mean, dressing up to watch four hours of sporting activity would be a tad extreme don't you think? which brings me to the impending international sporting event that affects a lot more of us than does the superbowl. on the weekend of 31 january/1 february in tabor czechoslovakia, with luck, the world cyclocross championships will be swamped with snow, mud, rain or a combination of all three, to provide the ideal televisual or interweb spectacle. for who amongst us would admit to walking away from the screen after watching a one-hour race that took place over a dry and dusty parcours? mud, to put not too fine a point on it, is really the only suitable answer. it may even be a similar situation for those participating. mrs washingmachinepost is less than well disposed towards my bringing the cyclocross hakkalugi into the sitting room, even if only for symbolic purposes, and the chunky soles on my 'cross shoes make overly visible marks on the fireside rug. the question therefore remains as to how to offer a token gesture towards being a 'cross aficionado in absentia (so to speak). 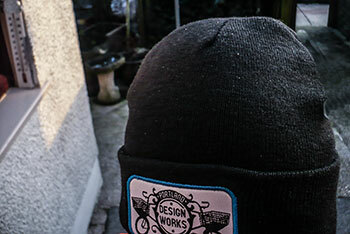 thankfully, the answer to that question has been answered by the lovely folks at paligap and portland designworks, having sent me a highly desirable black beanie with an embroidered patch on the front. i cannot deny that the current spate of islay weather has necessitated my wearing a winter cap not only when out and about on the bicycle. 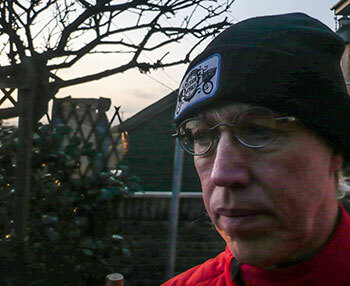 both the morning walk and the shuffle to work each day have made excellent use of a backward facing winter cap, a look that probably came across as a tad dorky to those less than familiar with faux belgian customs. 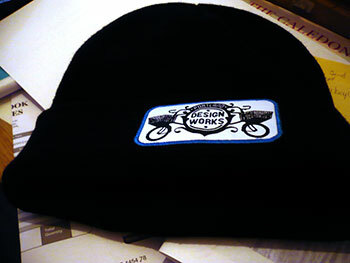 now, however, as i mentally prepare myself for the smorgasbord of cyclocross worlds that will be along next weekend, i have substituted the pdw beanie in place of that hard-worked winter cap. i've yet to check whether the populace of bowmore are less quizzical as to my new headgear, but to be honest, i care not one whit, for embroidered on the reverse of the inner pdw label is the following legend. "At the risk of sounding like your mom: Put a hat on! It's cold outside! 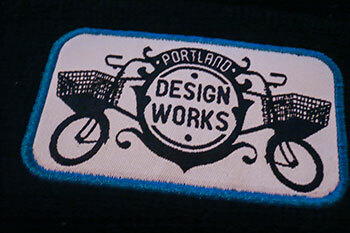 This PDX 'Cross Beanie will keep your ears warm while jumping barriers, flailing a cowbell. or exhorting your friends to GO FASTER!" this is definitely the item of 'cross apparel that demands to be worn while watching the 2015 cyclocross world's. or any other 'cross race, for that matter. 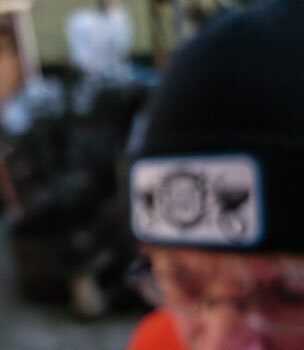 the 100% acrylic black pdw beanie retails at $10. it seems not to be generally available in the uk, but i daresay commercial pressure could be brought to bear to change that situation. or, given the uk's less than benevolent import charges, perhaps not.